What are Permissible Exposure Levels? Permissible Exposure Levels, or PELs, generally refer to the maximum exposure to a potentially harmful substance or physical agent (e.g., loud noise) that a person can safely contact over an eight-hour period. These levels are determined by industrial hygienists, safety organizations or – most commonly – regulators such as OSHA. Sound simple? It’s not. The published PEL is just a starting point that safety professionals use to consider all aspects of the hazard and how it may affect workers, including identification of hazards, the work environment, mitigation options, employee training and more. Fortunately, the safety experts at Safety Management Group in Indianapolis have published an article that addresses PELs, explains how they work and gives good advice on how to manage exposures in your workplace. 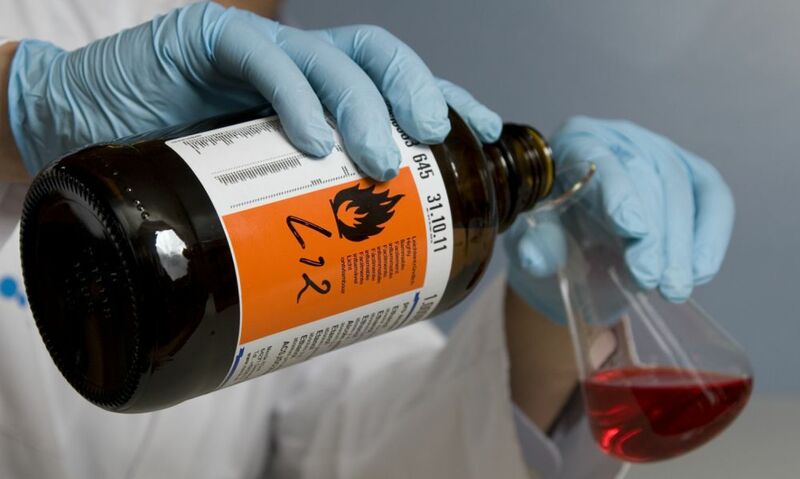 Visit the OSHA Chemical Hazards and Toxic Substances page. Browse chemical safety, GHS and hazardous material safety signs. Information on PELs can often be found on Safety Data Sheets, which must be kept in clearly marked locations. This 3D triangle-mount SDS Station sign stands out from the wall for easy viewing from any angle.